Single wall paper cups can be printed in full color or process inks that are all specialized to be food safe and odorless and we also use the highest resolution we can to make the images on your personalized paper cup appear professional, flawless and a display of the highest quality that your business can be proud of. Can be custom printed up to 6 colours. 1. Perfect for catering events, family reunions, company picnics, potlucks, sample tasting promotions and so much more. 2. Made of disposable paper material for easy clean-up after your event. 3. Custom printing with a minimum order quantity 50 boxes. 2 .All text in the design is outlined. 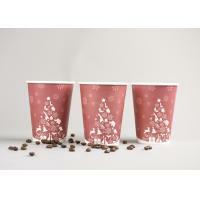 Single Wall Paper Cups are suitable for all hot and cold drinks. 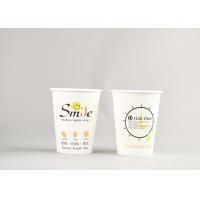 But Single Wall Cups are more popularly used as Cold Cups. 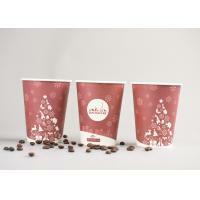 When used as hot cups, they are used with Cup Sleeves to add insulation. They are available in white or can be custom printed to expertly promote your brand in the marketplace. 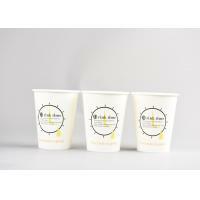 Since 2000, we are a manufacturer which producing a wide range of custom printed paper cups in various shapes and sizes, from the smallest of Sampling Cups ( 1oz, 2oz ), Double Wall Coffee paper cups ( 8oz, 12oz, 16oz ) , Cold and Hot Drinking Cups ( 6oz, 7oz, 8oz, 9oz, 10oz, 12oz, 16oz, 20oz, 22oz, 24oz ), Ice cream Cups ( 3oz, 5oz, 7oz, 10oz, 14oz, 16oz ), Paper Food Cups ( 10oz, 12oz, 14oz, 16oz, 20oz, 22oz, 24oz, 32oz, 36oz ), Popcorn Buckets ( 24oz, 32oz, 46oz, 50oz, 70oz, 85oz ), French Fry Cups ( 12oz, 16oz ) , etc. 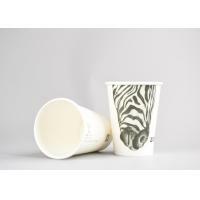 A great designed paper cup is a moving advertisement that helps raise awareness of your business. People notice an eye catching design in the hand of a customer, and this communicates that you have a presence which helps attract new customers. 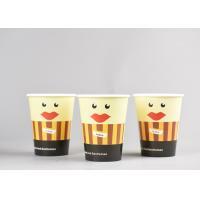 We offer quality and reliable printed Paper Cups to cafes, restaurants, coffee shop, food industries, events, promotions, advertising, etc. 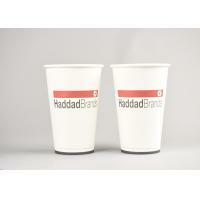 All cups can be delivered to worldwide. 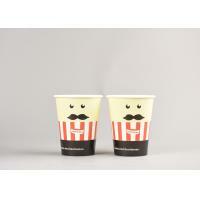 Buy Paper Cups and custom printed your Brand Paper Cups, please browse our website for more information. 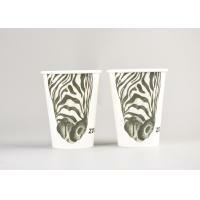 If you have any questions, please email us at sales@xyapapercups.com or call us at +86 (27) 6960 1899.